We are currently looking for new members to join our PPG group. Anyone and everyone is welcome to take part in the group, as long as you are registered at the surgery and interested in working together to make positive changes for the practice and its patients. Please see our Patient Group page for details of how contact the group. With GP practices and A&E coming under increasing pressure over the winter months, we’re asking you to consider whether you can self care if your illness is not serious. Coughs, colds and other minor illnesses can often be managed with a visit to your local pharmacist, but if your symptoms persist we recommend you book an appointment with your GP. We understand that some health problems get worse as the weather gets colder, and we want you to be able to access the right service for your health care needs. 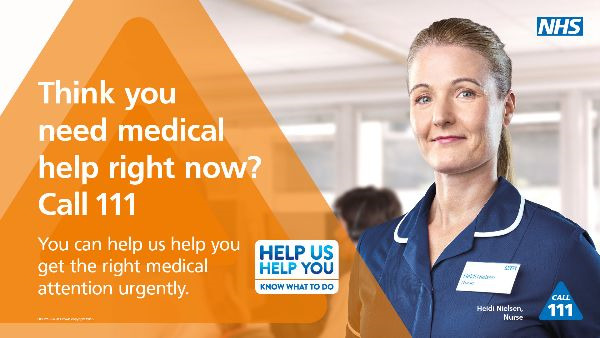 There are lots of options available, from self-treatment to advice in a pharmacy, GP services, the NHS 111 number, mental health services, walk-in and urgent care centres and, in an accident or emergency, A&E. 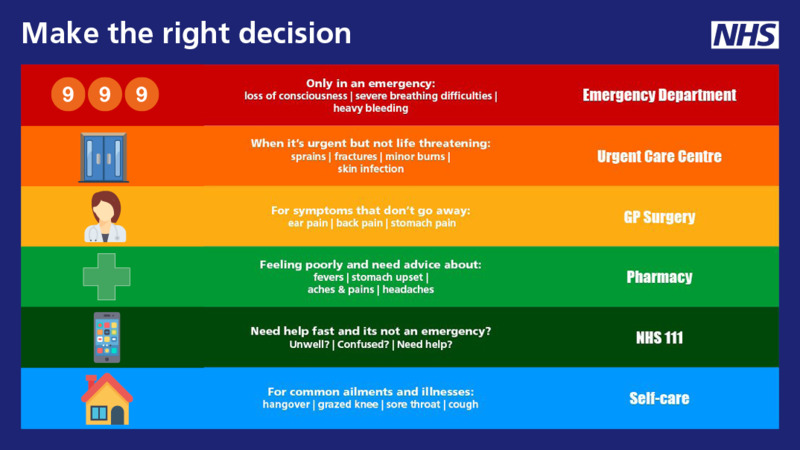 Dr James Hopkinson says: “Often people needing medical help go straight to A&E when there may be another more appropriate service available, such as their GP, pharmacist, NHS 111 or their local walk-in or urgent care centre, all of which may be better placed to help. “Across Greater Nottingham, we have a GP extended hours service. You can pre-book an appointment at your GP Practice. For urgent on the day appointment, call NHS 111. We aim to provide our patients with high quality, accessible care in a responsive, courteous manner. Quality – We work within the framework of NHS Primary Care Services to provide high quality care and respond to the needs of all our patients. Respect - We aim to treat all our patients with courtesy, dignity and respect at all times. Support - We aim to inform and support patients and empower them to make their own decisions, so as to improve and maintain their own health. Promote best practice - We promote evidence based practice and adapt this to deliver holistic patient care. We always encourage communication, education and professional development among all members of the practice team. Patient centred – Our wish is to consider our patients in everything we do and to balance the needs of the individual and the practice population. We aim to achieve this day to day in the unpredictable General Practice environment. Responsive – We encourage a culture which is innovative, forward looking and adaptable. With this in mind we always welcome and consider feedback from patients and staff. We will respond to your feedback if you request this.